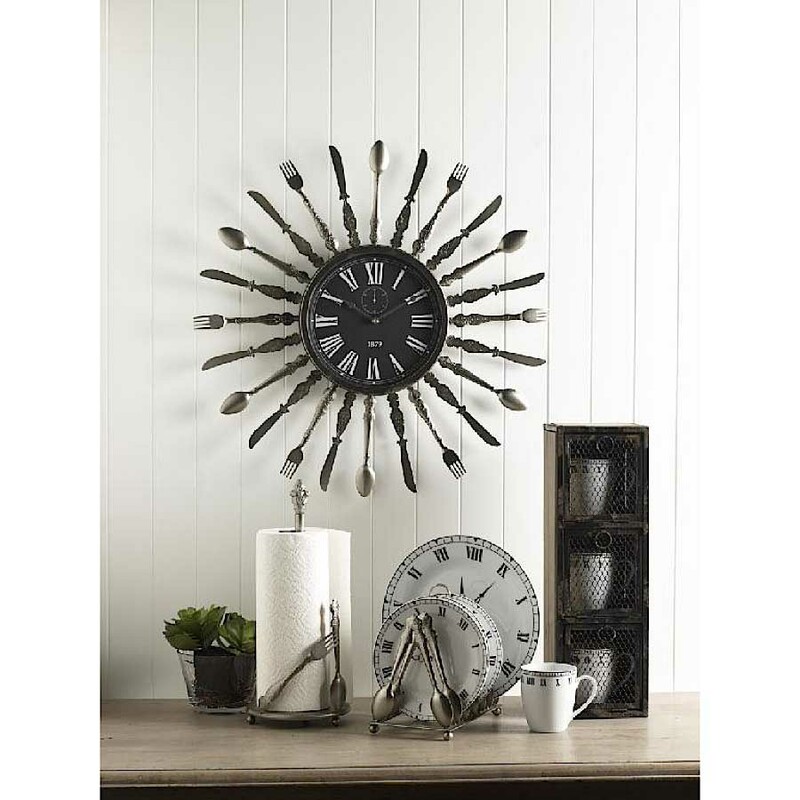 Imagine this charming Metal Utensil Wall Clock in your Farmhouse kitchen or breakfast area. Tin utensils encircle this lovely black and white wall clock. 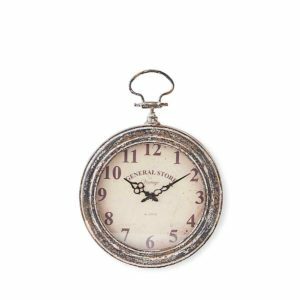 Teach your kids to eat properly and tell time while you’re eating your country breakfast. Forks, knives, and spoons can go anywhere in the house!